An Adirondack-style Pack Basket is a truly functional piece of basketry: a treasure you will use for years! Join us in this all-levels class for an excellent introduction to weaving. 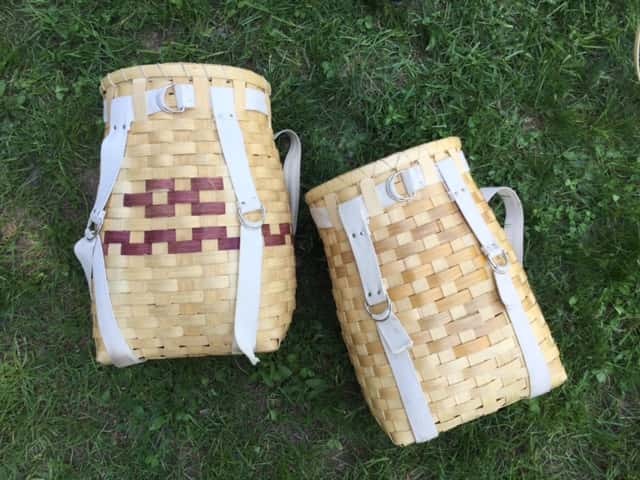 On the first day, students will weave the basket, experimenting with naturally-dyed rattan, and on the second day, the group will finish the rim and attach the straps. You will leave with a gorgeous, sturdy pack basket, ideal for harvesting, hiking, and camping!